Great test kit. Easy to use and very east to read. You can perform a low range or high range test with this kit. 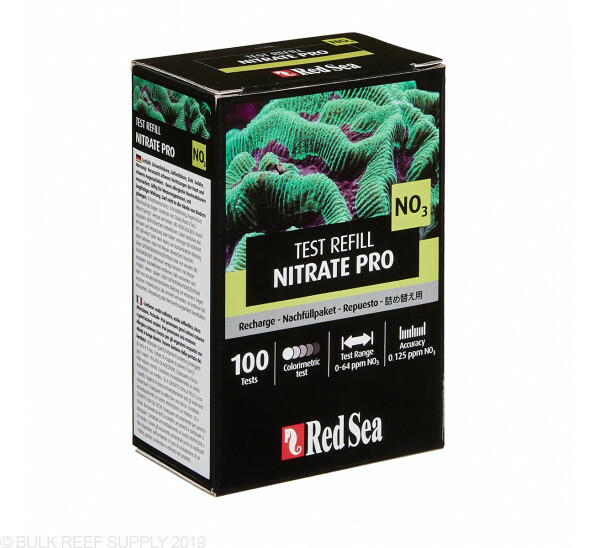 The Red Sea testing products are top notch. I have used them for the past two years and couldn't be happier with the results. BRS is always a winner with their service. 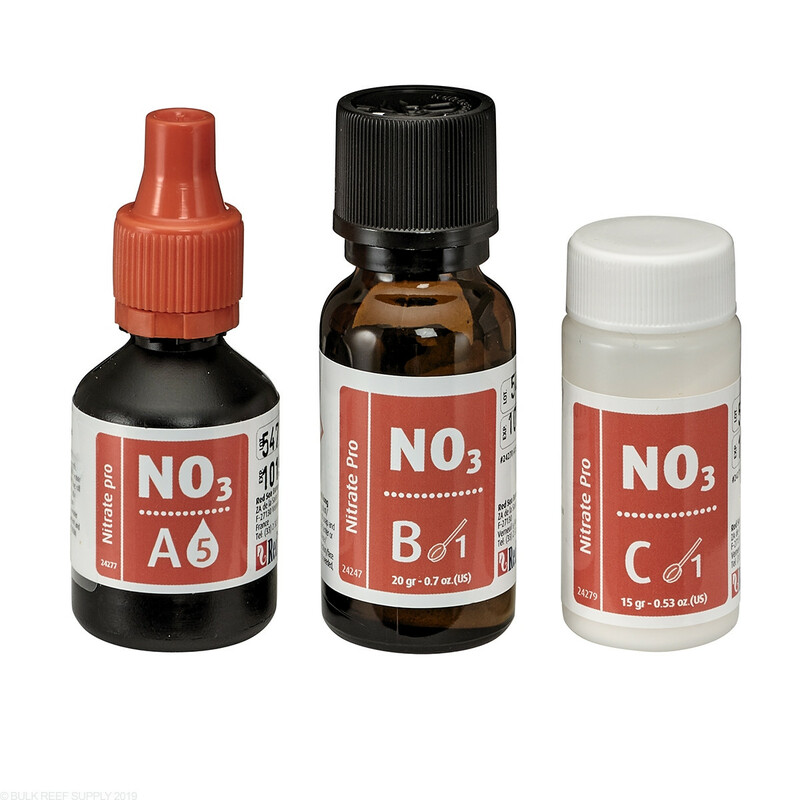 I really like the RS Nitrate test kit. Its great that once you buy the kit initially, you RS provides a refill kit with only the necessary chemicals. Makes it very economical. Great accuracy with this test kit. NOTE: Refill kit does not come with spoons or new color wheel so you need to keep them. From other reviews also make sure they do not the reagents don't change. Works as expected and colors are easier to see differences than some other test kits. I have been using this product for 2 1/2 years and I know I can alway rely on RS products. 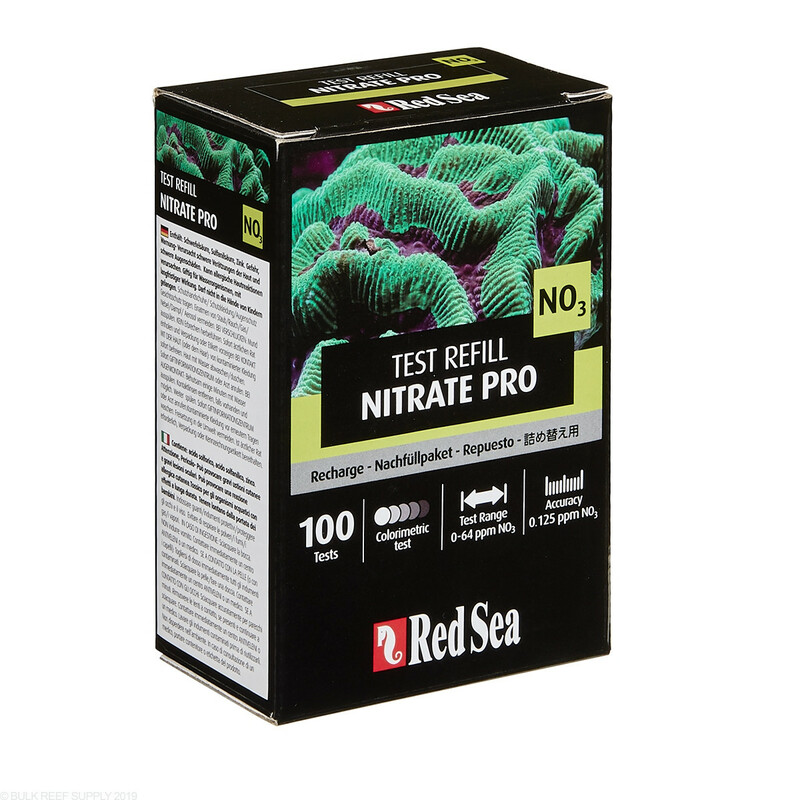 I apparently had the old version and didn't realize that there was a new version of the Nitrate Pro Test Kit and when I received the reagents I started my testing only to find out that the new version uses powdered reagents rather than droppers like the old version. I contacted RedSea and they sent me a new color wheel and some measuring spoons at no charge, but it did take a couple weeks to arrive which was kind of frustrating. It seems to work. 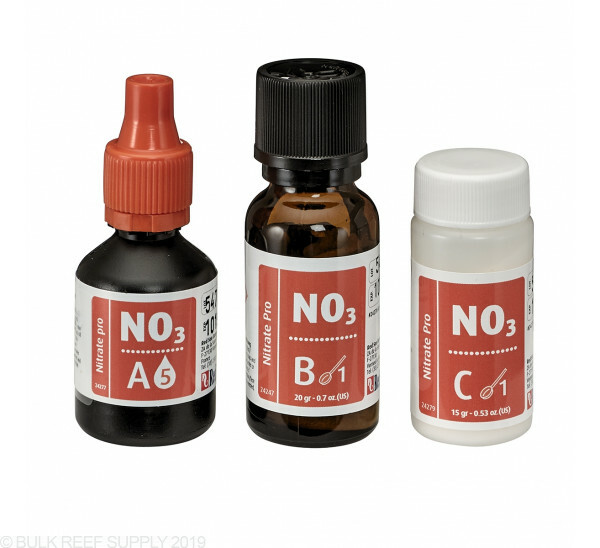 These nitrate reagents that came with the phosphate and nitrate pro kit that I got were outdated within a few months. The nitrate kit from when it was fresh and when it was expired was noticeably different in how it read and the colors it produced. So, this test kit works pretty well, but when the time comes that it expires, throw out the reagents and get fresh ones or you're wasting your time with the tests, in my experience. This is a change from the older kit. Redsea will send you a new color wheel if you call.